When you contact Shepherd's Insulation for an insulation estimate, we will inspect insulation levels and determine the best insulation solution based on your home's design and your specific needs. We have the experience and tools to install many different insulation materials, including spray foam, blown-in, cellulose and more. Shepherd's Insulation is your trusted expert for home and attic insulation in Colorado. 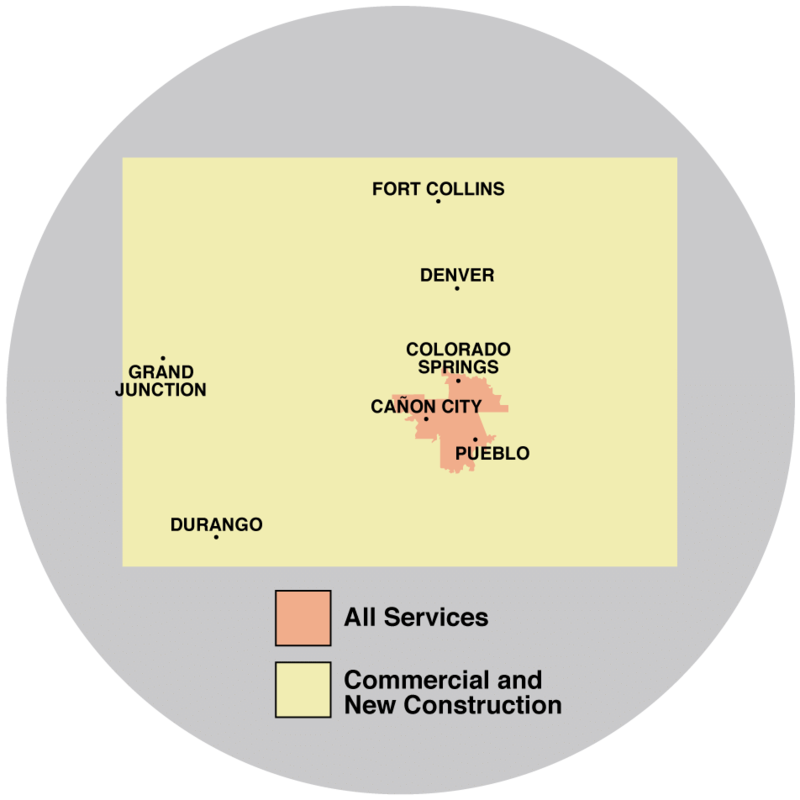 We offer customized attic insulation solutions to residents in Pueblo, Colorado Springs, Canon City and nearby. Call us or contact us online to schedule an appointment today! Many homes have as little as 9 in. of attic insulation in regions where the U.S. Department of Energy recommends 16 in. It is recommended that most homes in Colorado have between R-49 and R-60 of attic insulation, depending on the insulation material. Air sealing is a critical step when insulating an attic because sealing air leaks stops conditioned interior air from leaking into the attic. Air sealing can prevent attic mold and significantly reduce heating and cooling bills. Shepherd's Insulation uses a variety of materials and techniques to stop this energy-wasting air leakage. Be sure to check out our specialized SuperAttic™ System for continuous & airtight coverage. Shepherd's Insulation's technicians have the knowledge to install a variety of insulation materials, including cellulose, blown-in, and spray foam. If your home is cold or drafty, we can provide you with a quality insulation solutions that saves you energy and creates a warmer space. Call 1-844-619-6803 or contact us online to schedule a home energy assessment or a free estimate for home insulation in Canon City, Colorado Springs, Pueblo, Penrose, Florence, Fountain, Manitou Springs, Rush, Yoder, Cascade and surrounding areas.